The Urban Decay Naked range is probably one of the most hyped ranges of the 2010’s (are we calling them the ‘Tens???). 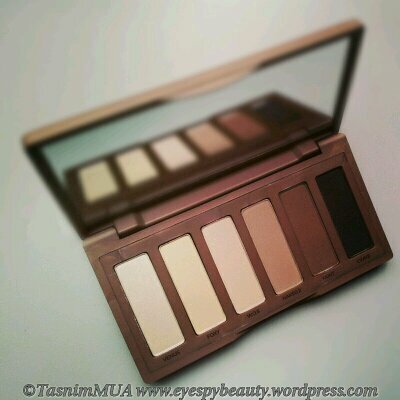 First came the much loved and well received Naked palette in 2010, then Naked2 in late 2011, then one of the most anticipated foundation launches of 2012 Naked Skin. My thoughts were, in order, love, love, like. With 2 fantastic Naked shadow palettes on the market already, do you really need any more neutral shadows? The answer to that question lies in another question. What are the differences in the shades in Naked/ Naked2 and Naked Basics. How do they look on the skin? Venus: (top left) shimmery pearlescent oyster shade. It’s a highlighter shade really. Foxy: (top middle) matte light beige with yellow undertone. Walk of Shame: (top right) matte peachy beige with pink undertone. Naked 2: (bottom left) matte taupe shade. 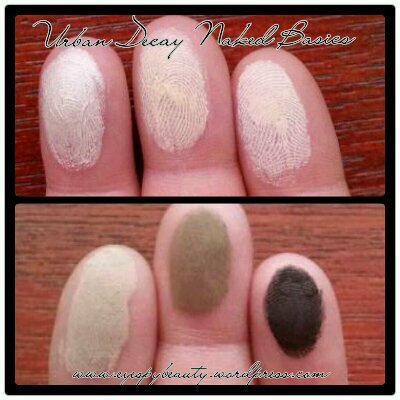 Faint: (bottom middle) matte mid-brown/ chestnut shade. Crave: (bottom right) matte dark brown shade. It looks black but is a barely black dark brown colour. If you want party-wear neutral shades, then this isn’t for you. You’ll want more shimmer, so either Naked or Naked 2 is best. Don’t forget that they also have a couple of matte base shades in them so you get the best of both shimmer and matte). If you want everyday neutral shades for work or college, then it is a great buy, as it’s handbag friendly, both size-wise and package durability. The rubber-casing gives just enough protection if they’re knocking about in your handbag, but remember, it’s not a shock-absorber so don’t risk dropping it on the floor. Personally I bought it for my handbag rather than my makeup kit. I’ve used it for a little while and am pleased with it. Remember, you don’t have to buy into the hype. Marketing makes you feel that you need this. It is expensive, so compare with what you already have and make your decision. If you don’t have the other palettes and want some high quality neutrals then this is your guy. P.S. Don’t forget that today is DAY NINE of my 12 DAYS OF CHRISTMAS giveaway! Enter todays draw by posting a comment at the bottom of THIS POST. Would adore to always get updated outstanding web site! Congratulations you’re todays giveaway winner. Please email me tasnimchowdhury@hotmail.com with your postal address. #12daysgiveaway i want to get.my hands on this palette so much! 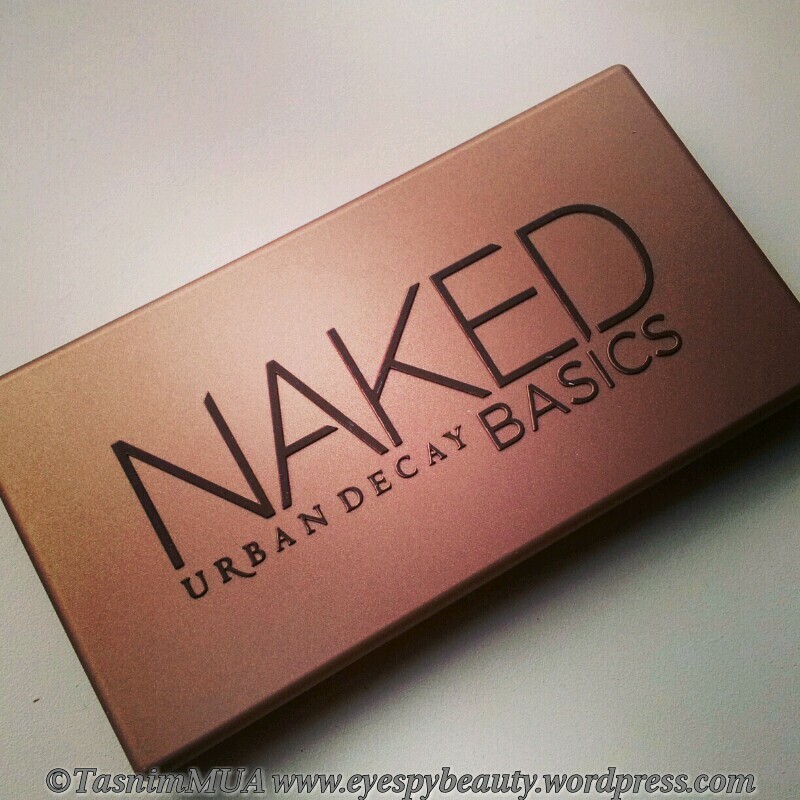 Leave a reply on "Urban Decay Naked Basics express review"